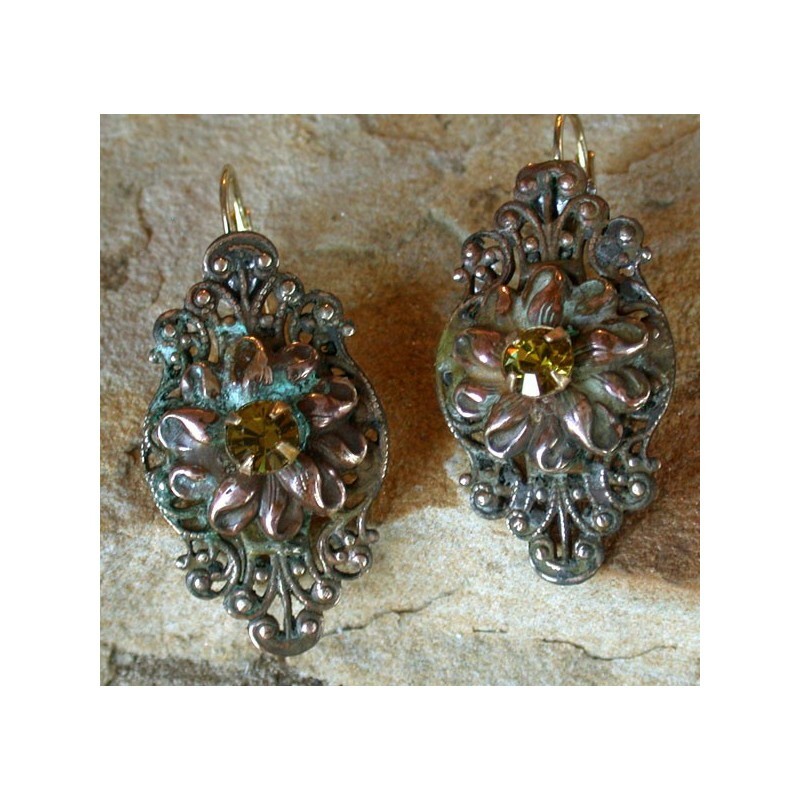 Delicate and detailed Victorian Floral Filigree motif Earrings in our multi-tone Olive Patina Solid Brass. Select either Gold Plated Brass Museum Latch (shown), or Comfort Padded Clip. 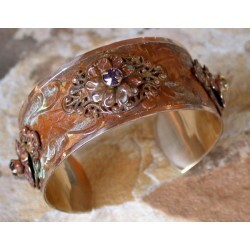 Available as shown, with Lime Swarovski Crystals, or with your choice of Burgundy, or Tanzanite Crystals. 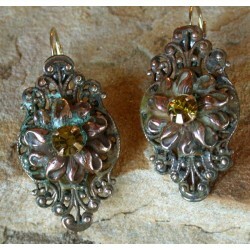 Earrings Measure: 3/4" x 1 1/4"